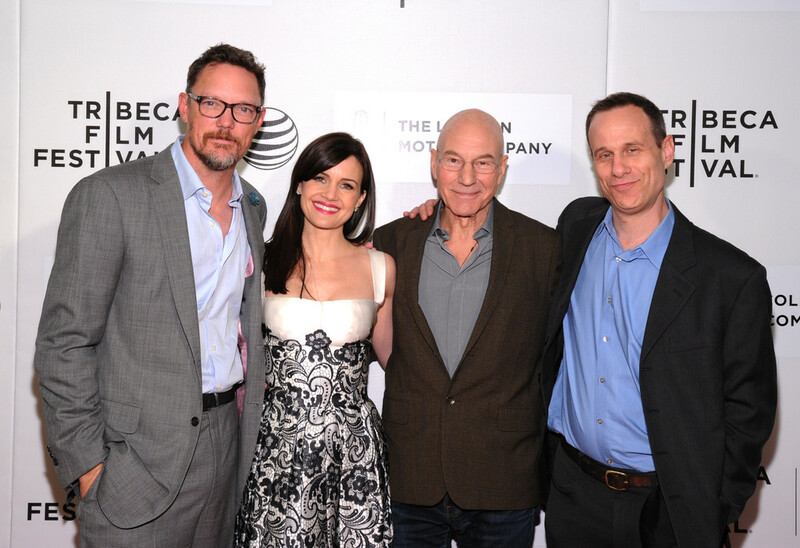 On Friday evening, Matthew, Carla Gugino and Patrick Stewart attended the red carpet premiere for MATCH as the opening film for Tribeca film festival’s third evening. Here is the original synopsis for Match from Tribeca’s own website by Liza Domnitz. 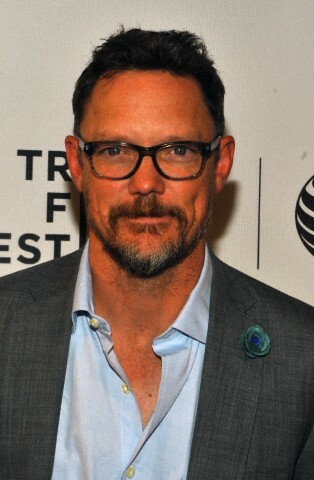 A Seattle couple (Carla Gugino and Matthew Lillard) travel to New York to interview former dancer Tobi (played with remarkable dexterity by Patrick Stewart) for research on a dissertation about the dance landscape of 1960s New York City. Now a beloved but somewhat hermitic ballet instructor, Tobi eventually warms to the strangers sitting in his Inwood apartment, regaling them with wild anecdotes from his colorful past. But when the line of questioning veers away from his career and becomes uncomfortably personal, the true motive behind the couple’s visit begins to emerge. Based on the Tony-nominated play of the same name, Director Stephen Belber weaves effortlessly between riotous wit and delicate poignancy, unraveling the story of three people forced to confront ideas of responsibility, artistic commitment, and love. KL Going, the author of Fat Kid Rules The World also attended the screening for a mini reunion with Matthew and exclaimed that the acting was incredible, making her cry and laugh! Steve also documented the post MATCH screening Q&A where the first two audience questions gushed over Matthew’s acting and roles, until he had to point out that they were all in the company of a knight! Steve wrote about it for The Wrap. MATCH aired at Tribeca on 18th April, 20th April and will also screen on Thursday 24th April, 6pm at Bow Ties Cinema in Chelsea. Tickets are on standby, be sure to queue if you want to see this marvellous film before we hope it gets snapped up for worldwide distribution! Fingers crossed it will spread to other film festivals around the world to allow Matthew fans to see this powerful movie. You can see Matthew taking part in this Carla red carpet video. See Patrick call Matthew “faintly virile looking” as the couple ask Tobi questions in his apartment. in this Entertainment Weekly exclusive clip from the movie!